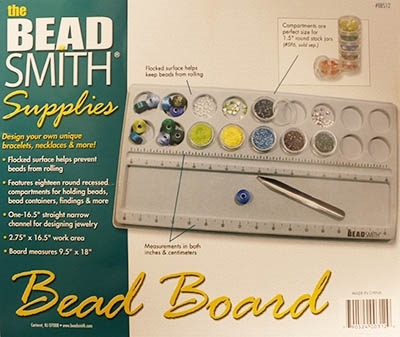 A bead mat is an essential component in the beadmaker’s toolkit. Not only does it give you a dedicated surface to setup your beads, it also provides contrast for smaller beading projects and protects beads from wear and tear by unconventional surfaces. Whether you’re looking for burgundy, peach, lavender, hunter green, or navy blue bead mats, you’ll find a wide assortment of colors and sizes with Red Panda Beads. We also supply normal and XL-sized sticky bead table mats and placemats from BeadSmith. Shop our selection below!